AKEMI Darkener Plus and Darkener Plus Ink Ready-to-use special impregnation, dyed using Darkener Plus Ink. Darkens the color and structure of fine ground and polished stones. Maintains the luster of the gloss finish. Darkener Plus has a water-repellent and stain-resistant effect and facilitates care. Can be used inside and outside with lasting darkening effect. EXCELLENT ON EXOTIC STONE. We suggest the application of Tenax Ager Tiger on the edge of resined granites, particularly exotic stones, when it is necessary to match the color between the resin treated top and the untreated edge. 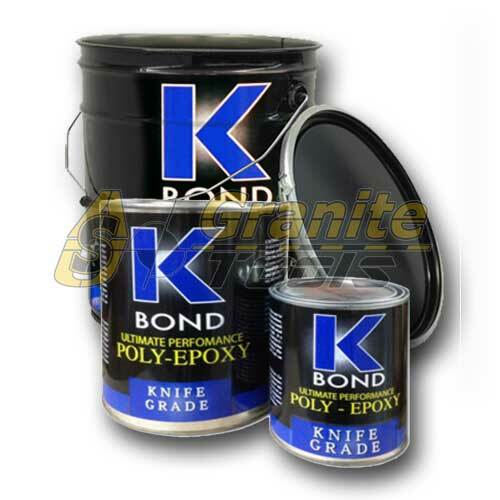 K-BOND Poly-Epoxy Adhesive high quality blend of polyester an epoxy that gives the strength of an epoxy with the speed and ease of a polyester adhesive making it a high quality hybrid adhesive. Poly-Epoxy is very light in color and is great for lamination, seams, and joints. 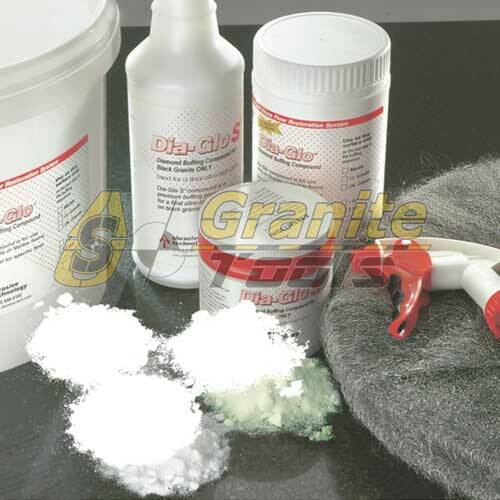 Dia-Glo Buffing Compounds are formulated to achieve the best possible finish on stone surfaces. Easy to use, they quickly produce a mirror-like finish. 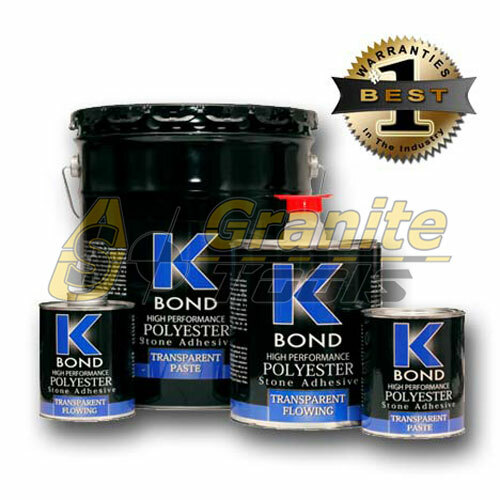 These compounds can be used in stone fabricating shops, for floor restoration and for maintenance buffing. Use Marble, Dark Granite, Light Granite or DiaGlo S compound, depending on the type of surfaces to be treated. 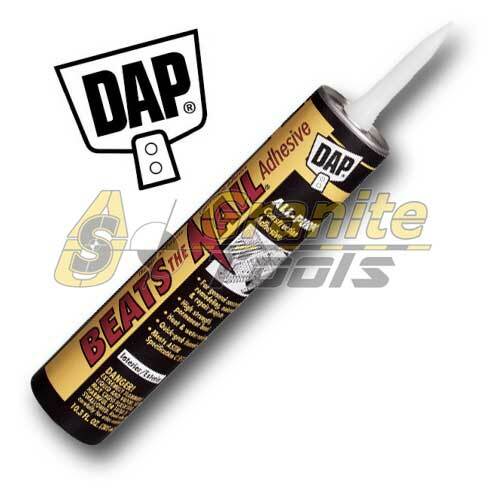 DAP Beats The Nail Adhesive it is an all-purpose construction adhesive for remodeling, maintenance and repair projects on a wide variety of building materials. The quick-grab formula of it provides a high-strength, heat and water-resistant bond with fewer nails or fasteners required to a variety of substrates, it reduces squeaks, nail pops and splitting.